I completed my primary school in Bhutan, high school in India and university in the U.S. where I studied Economics, Business & Marketing. After completing my under-grad studies, I started exploring my country. I discovered my land of stunning nature and pure smiles from the heart of our friendly people. The mountains of Bhutan have now become the center of my life. I feel extremely fortunate to be part of Bhutan’s sustainable tourism industry. During my free time, I like to hike, work out & explore local cafes. I love meeting new people, learning new things, and looking beyond what’s right in front of me. After my under-grad studies, I joined Etho Metho in hopes of expanding my knowledge and learning about my great country. I have the passion for football and the outdoors. Having worked in the travel industry since 2005, I have been fortunate to have met people from all over the world with various background and ideas. Today, I realize that my job is about building connection and making people happy with their dreams. I am proud to declare that I love what I am doing and I strongly consider my job as a sustainable approach to spreading Happiness. I joined Etho Metho in May 2010. Specialized in making arrangements for tours, preparing detailed itineraries for travelers and ensuring pleasant travel experiences. In addition, photography is my passion and the thing that will undoubtedly drive me insane someday. Bhutan provides a stunning array of photographic opportunities- mountainous landscapes, ancient temples and monasteries, lively, colorful festivals, a timeless Buddhist culture and fascinating people. Having been raised and tutored by a man whose very being is the embodiment of a “Bhutanese”, I joined this industry so that I could follow in the footsteps of my father. On my journey I experienced the diverse culture of our country, met many people, befriended many animals (Like my little buddy in the picture J) and discovered hidden paradises. Slowly, I fell more in love with my beautiful country and now I am on a new journey to find my own unique way of being a “Bhutanese”. I believe every new day should be treated as a fresh start. I look upon life as a challenge and set many hard goals to achieve. I am a person who is positive about every aspect of life. There are many things I like to do, to see, and to experience. My job gives me the opportunity to learn as well as interact with different people around the world. I may not be able to carry the county on my back but I am proud to wear and embrace my national dress ‘Kira’. I graduated with a bachelor’s degree in Business Administration & Entrepreneurship. I enjoy socializing and making new friends. I believe that stories can be built with moments and people connecting with one another make moments. I joined Etho Metho in hopes of meeting people from all parts of the world and learning about them! I have always been an adventurous person who loves to travel. I thought it was fitting to join the travel industry so that I can help others to experience the journey of a life time. My job also allows me to learn more about my beautiful country! I love to travel, meet new people and learn new things about other cultures. So it’s fantastic to have started my career in tourism and hospitality. I realize that it’s not a typical nine-to-five job. It can be challenging to coordinate complex logistical details. But how satisfying it is to be able to extend a journey of a life-time to our guests! Since joining Etho Metho, I have had the opportunity to explore my country. The magnificent Dochula Pass and the scenic Himalayan mountains were truly breath taking. Rafting along Puna Tsang Chu and hiking up to Tiger’s Nest Monastery was adventurous and thrilling. I look forward to sharing my experiences to plan your travel adventure, welcome! I have been working at Etho Metho for 9 years. I have a Bachelors degree in English & Environmental Studies. I am flexible enough to adapt with the changing phenomenon to suit different people and different situations. I like to be surprised and surprise others. To serve the company with full commitment and loyalty to the best of my ability is my career objective. 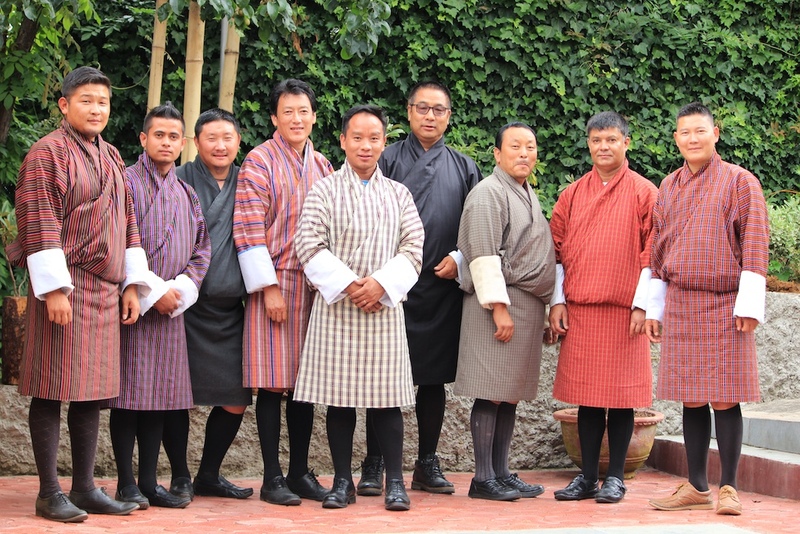 Having worked at Etho Metho since 1999, I have been fortune to see Bhutan’s tourism industry grow and evolve. Our industry started with one airline and commercial flights to few sectors in late 1990s. Today Druk Air & Bhutan Airlines operate flights to several countries. We now have one international airport and three domestic airports, very exciting and impressive for a small country like ours to get so far in a short span of time! I lead my team with the aim of providing excellent integrated support service to our colleagues and valued clients. My team is in charge of analyzing expenditures and other financial information to develop budgets and policies for improving our tour services and of course increasing profits! My job is very hands-on. I deal with financial transactions, hotels, restaurants, guides, drivers and other stakeholders. I have been working at Etho Metho since 2008. During my free time, I like to play football and socialize with my friends. I have been working at Etho Metho for more than a decade now. Working in the tourism industry has given me the opportunity to explore what the world has to offer. I like dealing with numbers so finance and accounting was the obvious career choice for me. All our drivers are certified, licensed and approved by Road Safety & Transportation Authority (RSTA), Thimphu Bhutan. Our Drivers also attended the Induction course for Tourist Vehicle Drivers conducted by Tourism Council of Bhutan.